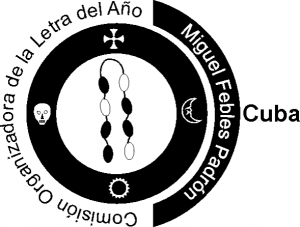 Starting on 31st of December 2017 and all along the first week of the year 2018, will gather the greatest number of Cuban Babalawos from Cuba and some from all over the world, with the members of the Council of the higher priest of IFA at the Cultural association in La Habana city, Cuba. To celebrate the ceremonies corresponding to the pre-opening of the letter of the year 2018. Ceremonies that gather more than 700 Babalawos, it is the event that all religious and practitioners expect to receive the predictions for the upcoming year and to realized the offerings for the well-being of his family and to the world in general. The main ceremony is always performed by the youngest priest under the supervision of the elders, the importance of the transmission is emphasized here as well as the respect to the elders. Receive our blessing for the holidays and we wish you the best for this new year.